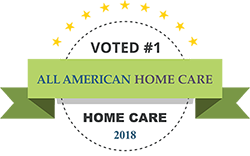 All American Care is the leader in elder care services in Pennsylvania. Elder care services may cover a broad range of support to help an aging individual overcome challenges in normal daily activities. Elder Care experts can be hired for complete caregiving needs, or they can provide respite care for the person’s spouse or other regular care provider. Providing in home elder care services for conditions including Alzheimer’s, dementia, Parkinson’s, Diabetes, and more. Patients in our elder care services often require assistance, but are still independent and capable in many other parts of life. That’s why we tailor our service offerings to fit your unique needs and help you prepare for the future. We know that receiving care is not easy, that’s why we focus on relationships first to give reliable support to caregivers and protect the dignity of our patients. Ultimately, our goal is to enhance the quality of life for both seniors and their families. All American Care provides a wide range of elder care services to meet the needs of you and your loved one. Our staff work with you to meet your unique needs and preferences and create a personalized plan. We work to help educate patients and caregivers as well, to help provide a better living environment all around. Our home health care professionals are also registered and fully trained, giving you expert health care options for your loved one! If you would like to learn more about our elder care services, please contact our team!